Mumbai-based tech-focussed early-stage investment firm Blume Ventures, which closed its second fund of $60 million last year, has won the News Corp VCCircle VC fund-raiser of the year award in recognition of its prolific fund-raise from a largely domestic limited partner (LP) base. 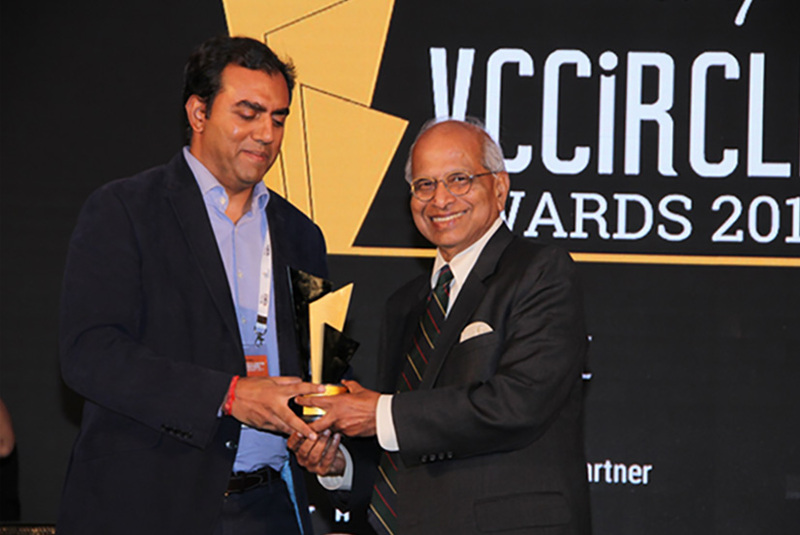 The Karthik Reddy and Sanjay Nath-led investment firm was chosen for the award by an eminent jury chaired by Arun Duggal, chairman of ratings agency ICRA. "From our first fund—a domestic, rupee-only fund raised from HNIs that we pitched to 500-600 people—to now, it has been as much of an entrepreneurial journey for us as the companies we backed," said Nath, co-founder and managing partner, Blume Ventures. Founded in 2010, Blume closed its debut fund at Rs 100 crore (around $20 million then) next year. It closed its second fund, Blume Ventures India Fund II, in October last year at $60 million, and has emerged as one of the most active seed-stage investors in the country over the last six years. Blume has a portfolio of over 75 startups, including MockBank, IDfy, GreyOrange, RailYatri, RoadRunnr, ReGlobe, Tookitaki, Purplle, Zopper and NowFloats. Such large investment portfolios are rare in India, except for the likes of, say, a Sequoia Capital, which has been investing here for over a decade. A large portfolio often creates fertile ground for bigger investors to scout for opportunities. And Blume seems to be doing just that. More than two dozen of its portfolio firms have raised Series A funding, and over half-a-dozen have reached Series B and above. The fund has seen at least seven positive exits so far, all led by merger and acquisitions. Blume Ventures India Fund II has limited partners (LPs) and investors including ICONIQ Capital, IIFL Wealth, the government's India Aspiration Fund, Infosys co-founder Narayana Murthy's private investment arm Catamaran, Morgan Creek and Recruit Holdings, among others. Blume has been looking to sign bigger cheques from the second fund. In fact, some of its new deals have been in the Series A stage, including BroEx, HealthifyMe and logistics management startup Locus, according to VCCEdge, the data research platform of VCCircle. So far, it has been investing $100,000-250,000 (Rs 60 lakh-Rs 1.25 crore) in each portfolio firm, participating in seed rounds where the typical overall size is $300,000-500,000. In the new fund, it will be putting in more and also take exposure to startups beyond the seed stage. "Our sweet spot is typically Rs 2-6 crore, or $0.5-1 million. And we keep dry powder, which is capital for companies that raise further rounds...so when a VC comes in, we co-invest with them," Nath had told VCCircle last month.